There’s no recipe involved in this post, this one’s about thing produce behind the cooking. This week I got my first CSA box from Jupiter Creek Farm. What’s CSA you ask? It stands for Community Supported Agriculture. Essentially it’s a box for fruit and veg that comes direct form the farmers, no middle man (or 20) involved. In this case it comes from a farm called Jupiter Creek Farm. They grow a large chunk of what’s in the box and source the rest from other farmers. It’s all organic and local, and soo fresh. I like it for these reasons. Yeah its more expensive than popping down to the supermarket and you don’t get to choose its contents but I like spend my shopping dollar in supporting local farmers and giving them a fair price for their produce as well as buying seasonally. 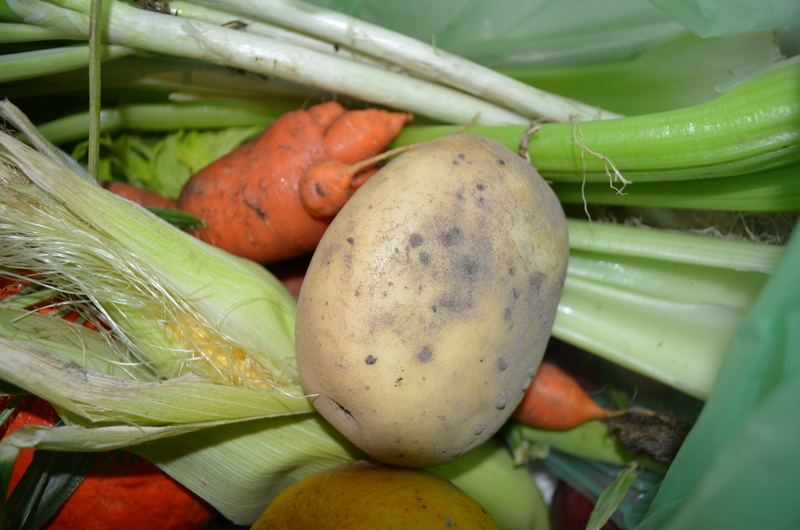 It doesn’t provide all our fruit and veg needs but a least a fair chunk of them. The Apples, Oranges and plums well these are eaten as they are, super fresh and delicious. The plums tasted like the ones we pick from our own tree, so full of flavour which you just don’t get from supermarket/shop bought ones. The permissions well I haven’t encountered them before so after a bit of research I’ve left them in the fruit bowl to ripen up where by I should be able to cut the tops off and eat them with a spoon. 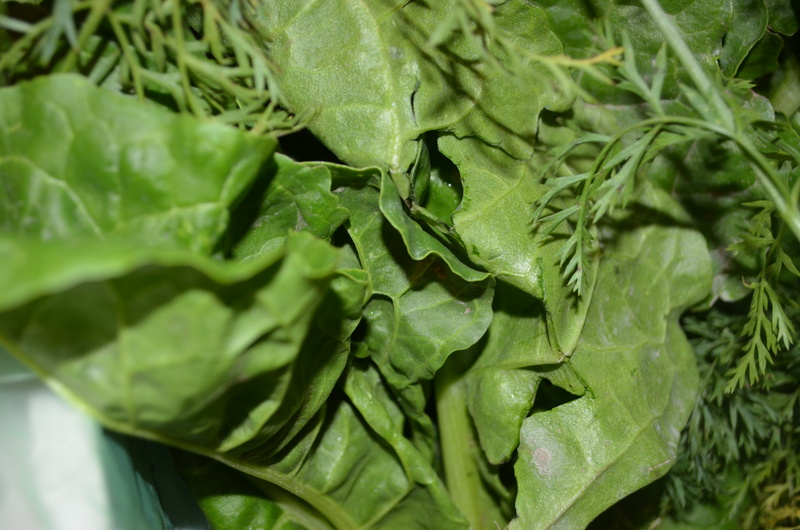 The spinach – well my husband doesn’t like it (read hates it) so it’s a bit hard to make a meal based around it but I generally treat it with love and respect and don’t over cook it. This morning it was lightly sautéed in butter with garlic and served with bacon and eggs. The potatoes well they could be used above in the spring onion cheese carb fest or they will accompany a roast I’ll do later in the week. 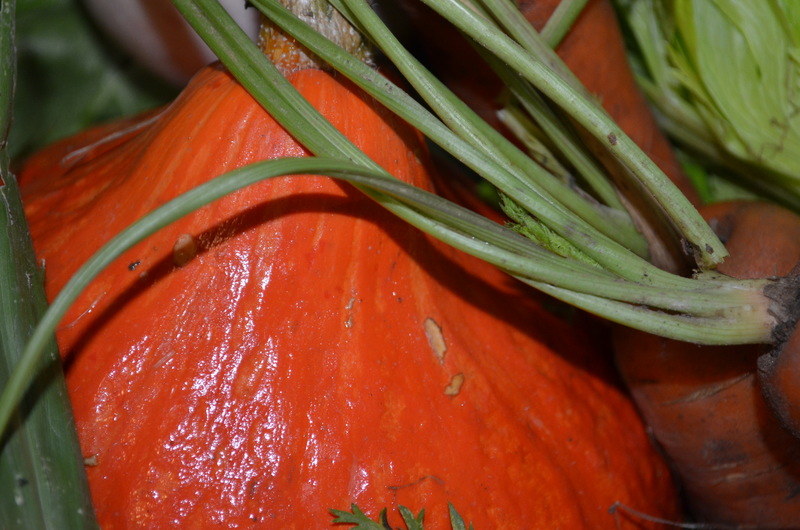 The pumpkin is gorgeous, it was a variety I hadn’t seen before and after a bit of hunting around I was informed it was a heirloom French variety potimarron, best served baked. This will be roasted up to either accompany the roast or even just by itself or with olive oil and may some cumin seeds as cumin and pumpkin go so well together. I might even make some haloumi cheese as that also goes well with roasted pumpkin. The onions well they could be used any number of ways and won’t go to waste. 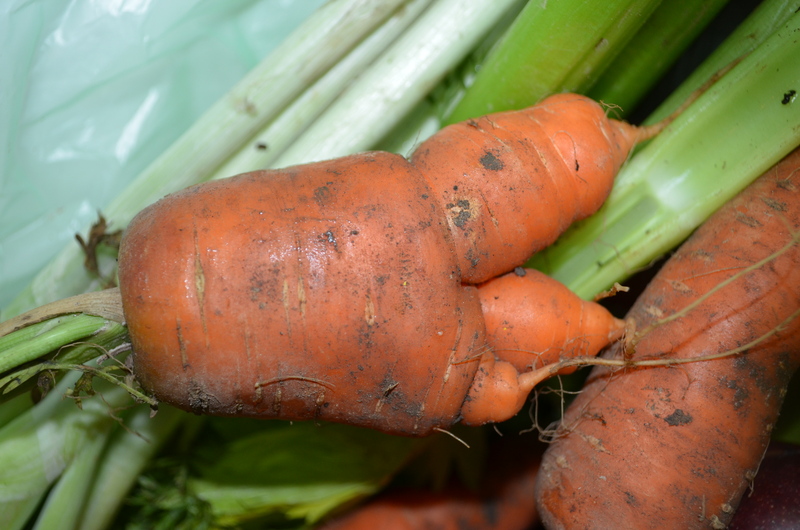 The carrots were real proper carrots, funny shaped and all. They reminded me of the carrot s my grandfather used to grow where they weren’t all shaped perfectly and tasted so carroty (for lack of a better word). The carrots will in honestly probably just be eaten raw as a snack or otherwise included in the above mentioned roast, a stir fry or salad. 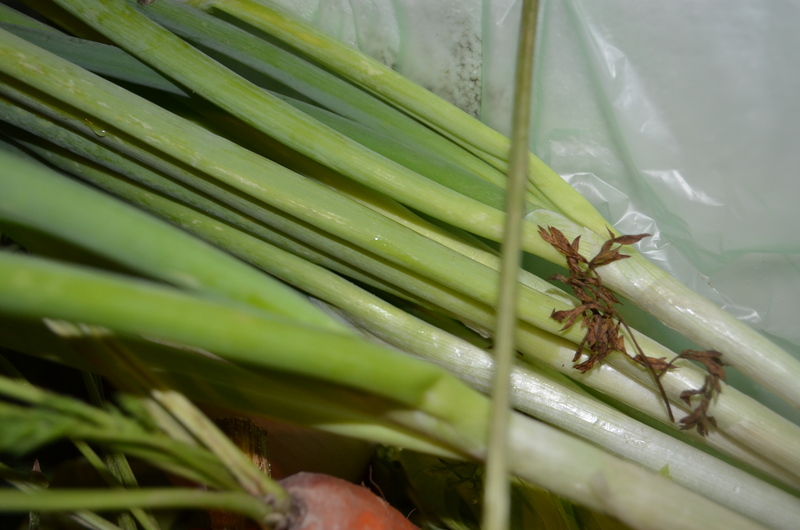 The celery well like the carrots will probably be snacked on and included in a stir fry or casserole or pasta sauce. That’s one of the things I love about celery you can just use it so many ways. 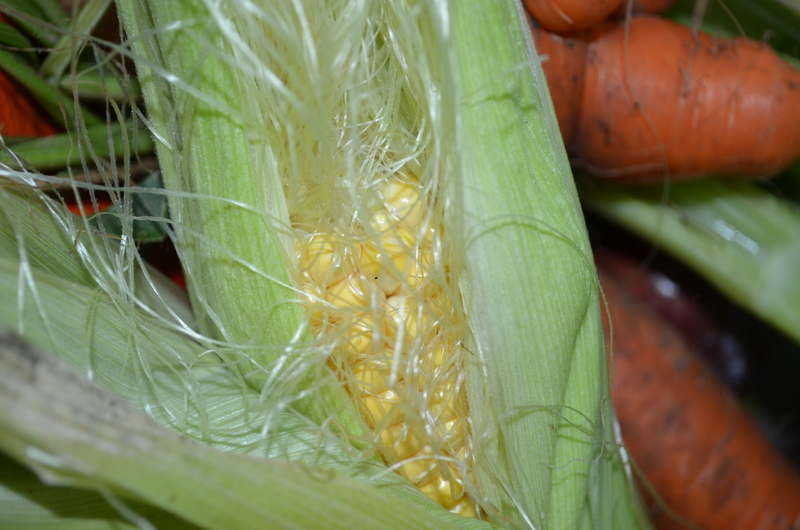 The sweet corn well I love sweet corn and could happily eat it just boiled and plain or another really good way is to remove the leaves and silk and rub some olive oil on it season with salt and pepper or rub some butter with lime zest grated into it and chilli and bbq it. However I think we will use these in corn fritters as it fits in well with the menu for this week.